I don't often go for the all black look, but my Barry M Black Multi Glitter has been looking at me longingly for a while now. It's a gorgeous black shade with tiny little specks of holo glitter suspended in the formula. The photo doesn't really do it justice but this polish is really pretty, and gives a black mani a little bit of extra sparkle. As you know, we don't often go for plain nails, so it won't come as a surprise that I felt compulsed to add some nail art. I wanted to keep the mani quite simple, so chose matte stripes. I just added striping tape once the base was dry and painted over with a matte top coat (Essie - Matte About You). I wasn't sure about it at first as the stripes weren't very prominent, but it looked great when my nails caught the light. 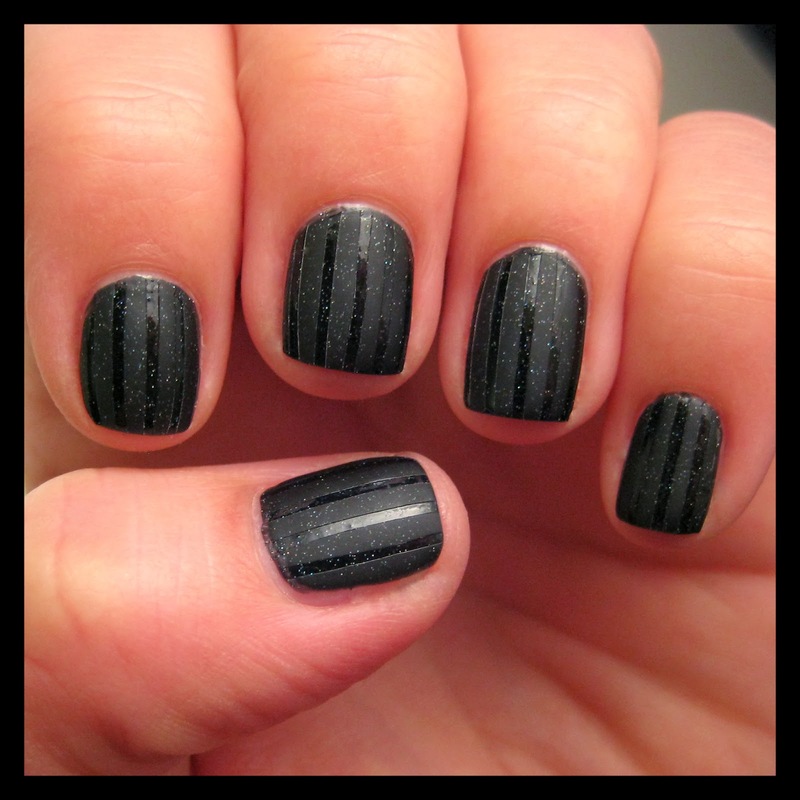 I wore this mani for a night out and it was perfect, a bit glitzy but nothing too bling. It would also work well as an office mani with a bit more oomph!